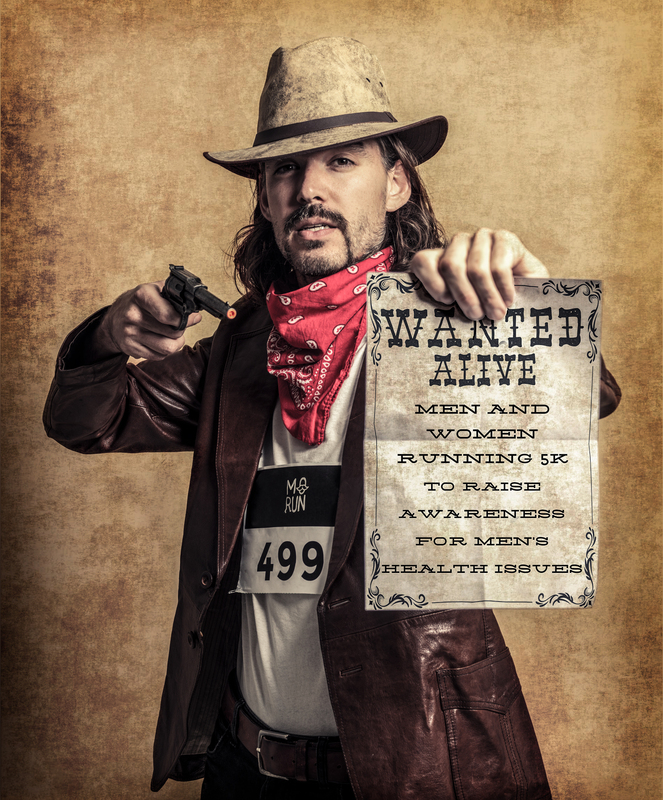 John Owens - 36 years old, born and bred in London – is heading up Movember’s fundraising team in London. We wanted to learn more about his passion for Movember, the reason why he chose to work for a charity organization, and what Movember’s plans will be for 2016. I meet John for the first time on a sunny day at cafe Kostverloren in Amsterdam. The first thing that strikes me is how passionate he is about Movember’s cause, and how willing he is to help us make this year’s Movember Run Amsterdam another great success. We agree on an interview date and about a month later we speak on the phone again on what we both believe is an important topic for men to talk about: Movember. Proudly he speaks about his London roots, and how he spent his youth in a boarding school. “At boarding schools your social skills and care for others around you are essential. You literally spend 24 hours a day together, almost in the same room, so you always need to look after each other. When I look at the way we interact as grown-ups, I feel that care for others is rather limited. We have so little time for each other. I believe that’s why my time at the boarding school has shaped the way I see the world around me, and my continued and varied social connections are largely due to that experience”. Being in the advertising industry opened some doors for a career change. John set up a CSR team in his agency, Movember were partnered with them for some pro bono media support, and the rest is history. That was the start of a career change. Now John is heading up the fundraising team of 12 people, an important team in the Movember UK office that hosts around 30 employees in total. “We provide support to an incredible number of committed Mo Bros and Mo Sistas around Europe with their Movember fundraising events, and work closely with companies who want to support our cause, as well as providing valuable means for them to talk to their male employees about their health; often working to find the best environment in which to do this”. Why is Movember so important to you? Moral objections were the main reason for John to choose a different career path. But why choose Movember as the next step? “Movember is not a standard charity. It’s a big thing to be able to speak to 5 million men through one organization. The element of the moustache makes it rather unique too; it’s very visible and stimulates conversations between men, something that’s very important for the success of fighting male diseases like testicular and prostate cancer, but also raising awareness around male suicide. Men’s health tends to be under-represented, and with Movember, we are trying to instill change; to change the face of men’s health”. Movember started in Australia in 2003. In 2007 the movement reached the UK, followed by mainland Europe in 2011. “Movember is the success story of a small group of people who believed in something, and through determination, and also just simply a great idea at the right time, they’ve reached millions of people. This is just the start, and we are moving with that success into the significance phase, where we are able to use all we have learned, and invested into programs, and turn this into real impact. We will always grow moustaches primarily, however in 2015 we also launched “Move” as another way to participate, and fundraise. It was quite a soft launch and the pick up exceeded our aims. It was really about encouraging people to be more active for 30 days. This year, we want to expand on that success, and allow people to be more creative with it. We are looking for people be more imaginative; try lessons in a new sport; crowdsource your next move; simply set yourself an epic challenge over the month, or use it as part of your training for something bigger. Companies may want to increase the mobility of their staff, so why not create a team fundraising page on our Movember website and – for instance – set a goal like running 30km per month, and make everyone on the team do that, with a company match of €1 per km. We have the tech on the site now to link wearable tech to the fundraising page so you measure your achievement alongside your fundraising goal. In 2016, we have also launched “Host” which also epitomises our community activity. So many people have put on epic event for Movember we want to recognise that officially. You can set the event up on our page, send out invites and suggest donation amounts in return for a ticket. You can make it as simple or as hard as you want”. So do we need to keep growing our moustaches? “The moustache is still our emblem, and it’s still what we stand for. Also, the play of words with the moustache really helps us drive the conversation, as we did last year with the move theme (red. the moustache is often called a ‘mo’). The moustache gives you a certain status; one of the great people who support and spread an important message. People have told me that growing a moustache has done wonders for their self-confidence; being something they wouldn’t normally do; but realising that before long they forget they’re wearing a 7 day tickly little moustache that doesn’t look great, but they focus on what it stands for, and it makes them feel great. That being said, you can still do great things for Movember, even without having a moustache. It the end it comes down to creativity”. Talking about people who definitely don’t like growing moustaches – what about women? How do you make Movember relevant to them? “20 to 30% of our annual sign ups to participate in the Movember campaign are women. And even those who don’t participate all have a special man in their lives, so the message is just as important for them. We know that 1 out of 8 men will suffer from prostate cancer at some point in their lives (more if you’re of African/Carribean descent or if it runs in your family); testicular cancer is the most common cancer in men between 18 and 40, and 75% of worldwide suicides are men. In other words, even women will be impacted by these challenges in their families or circle of friends”. “Aside from that, women are great fundraisers who really care about the cause. Last year’s Move campaign really allowed women to take the lead. Some of our all time best fundraisers are women, and they are a hugely important part of what we do”. So how do you make sure that Movember doesn’t lose momentum after the month of November? “There will always be some loss of momentum as Movember is tightly connected to November, however our work is done year round, and the outcomes we are seeing from the investment of funds are also having year round impact. We do have 3 other touchpoints during the year with the World Cancer Day, Testicular Cancer Awareness Day, and World Suicide Prevention Day. The goal is not primarily to raise funds on those days, but to generate awareness, get attention and keep Movember relevant throughout the year”. And will Movember ever be an all year-around event? “Definitely. We are working on global projects that will have year round activity. There may be less moustaches in other months, but as long as we continue to create impact, support men and get them living longer, healthier and happier lives then we will absolutely continue to push the year round relevance. The 3 moments in the year that we have acknowledged on top of the main campaign, have been a positive step in that direction”. I can imagine that working with the Cancer Societies around the world is very important for Movember. How are both organisations related? “We both serve the same goals, so indeed, it’s obvious that there’s some kind of collaboration. In the Netherlands the relationship with the Cancer Society is good and we work closely together. The relationship and set up depends on the country though, and they are not always the same. We do believe strongly in working together, so we are very pleased with the support we receive from the Cancer Society in the Netherlands”. We touched on this several times in our conversation: men’s life spans are shorter, men have the highest suicide rates. What is the reason for this you think? “We think men find it very hard to talk about health issues. I’m generalizing here, but women tend to be better at maintaining social relationships, from childhood to adulthood. They are also better at creating new relationships, even when they have children. Men become more isolated in those important life moments, and find it hard to deal with big events in their lives”. So how can Movember help solve that, and how do you make sure that doesn’t just happen in November? “Well, first of all, 5 million men grew moustaches in the past 13 years, so we do manage to reach the right audience and convince them of our message. But again, generally speaking, women are better at listening to good advice and acting on it. What we are trying to do, is to make it easier for men to engage in conversations, and to make them feel comfortable. Most men like sports, so that’s why we believe in supporting sports events, and talking to them in that environment. Men prefer to not take things too seriously, and that’s why the fun element is so important for Movember. It makes them feel comfortable, be themselves and speak about important things like their health. Education is a very important element in that too, and we work with schools and corporate bodies to bring our message to men everywhere”. That’s a great summary of this interview. I can only second that, and wish you and all the Mobros and Mosistas a great Movember month!